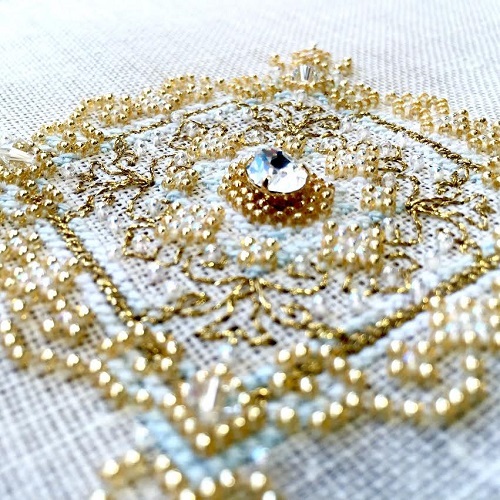 Antique French cross stitch sampler designed by Shannon Wasilieff. Pattern uses half stitches to create a gorgeous antique feel to pair with the vintage items. Uses DMC, Mill Hill Beads and Kreink.